A huge thank you to everyone that joined us for this years Macmillan Coffee Morning! 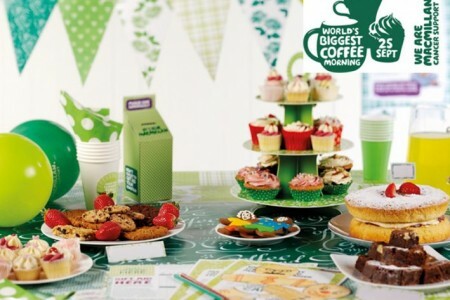 Customers and staff came together to enjoy coffee, cake and a raffle to raise funds for Macmillan Cancer Support and in just 3 hours we raised a fantastic £1,967.30! Thank you to our suppliers, customers and staff who donated to the raffle – there were some great prizes! In addition to our fund raising total we are thrilled for Claire from our Coffee House team who braved the shave today and has so far raised over £1,500 – click here for photos! Next Post: Customers Choice 2017 – The Results Are In!